Weaving just got fast and fun! Loopdeloom is an award-winning, ingenious loom design with spinning pegs that speeds up the weaving process and makes it super simple. Make anything from small basic potholders to large complex items with intriguing patterns. You can weave items any length, and up to 7" wide, using one loom. 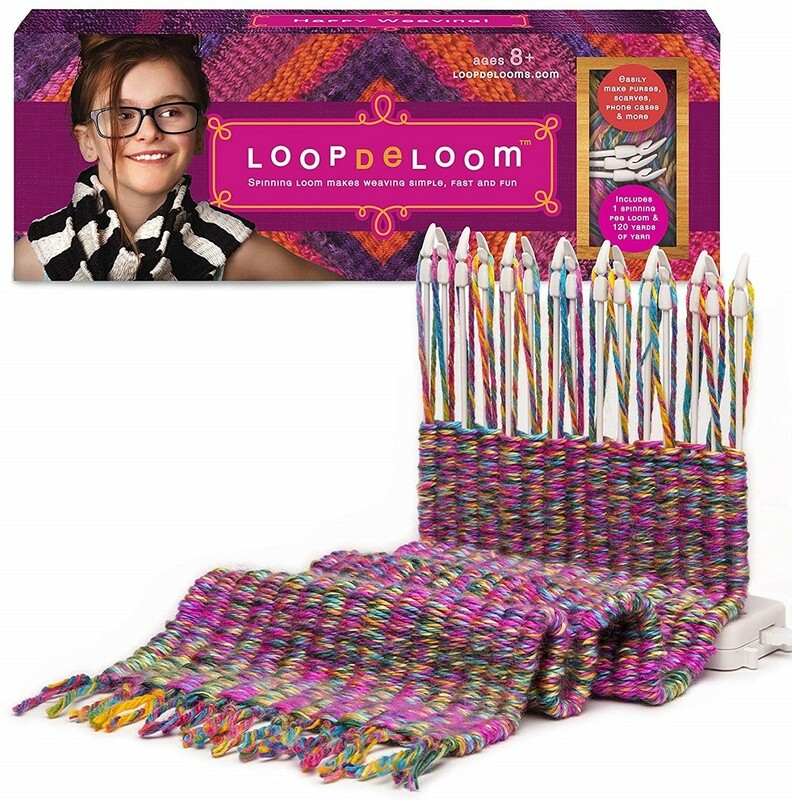 Connect two or more looms together to weave wider items with no seams! Say goodbye to traditional looms, we're putting a new spin on weaving! This set includes 1 spinning peg loom and 120 yards of yarn to get you started. An instruction booklet and patterns will get you started, but once she's learned the basics, you'll be amazed what she can make!